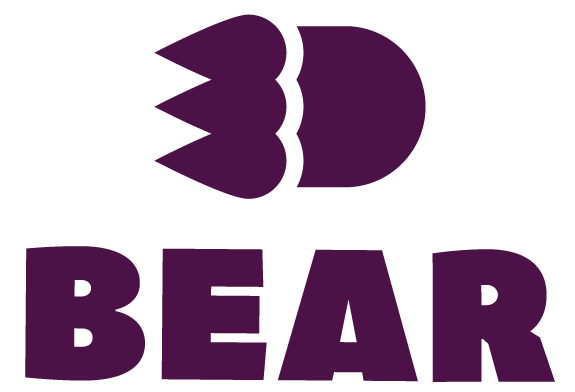 3DBear AR is a mobile application that allows students to build their own augmented reality scenes using 3D models and their physical surroundings. Not familiar with augmented reality (AR)? AR is a type of technology that superimposes computer generated images onto a user's real environment. With the 3DBear mobile app, you use your camera to see your real physical environment in front of you while also being able to place 3D objects around you to create your own AR scene (see video below for an example). In order to use 3DBear AR you'll need to do a tech check to make sure your technology is compatible with the app. Check out the technical requirements for 3DBear AR here. You and your students can use 3DBear AR for free on your mobile devices. It is free to download for iOS, Android, and even the Microsoft Hololens. 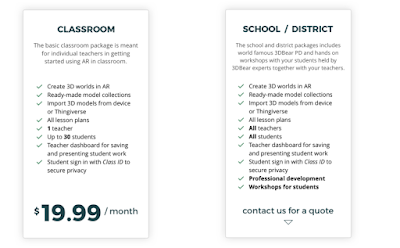 But the real benefit of 3DBear AR comes from it's Classroom Package for educators (they also have a school or district option)! As teachers, we want to give our students the flexibility and freedom of creation, but we need to be able to manage their work and their progress. 3DBear AR offers this functionality with its Classroom Package. It provides the teacher with a dashboard for saving and accessing student creations, a library of searchable lesson plans, and access to the complete 3D model library for you and your students. The lesson plan library that 3DBear AR offers with it's paid plan is a great place to get started with AR creation in your classroom. It includes lessons for Pre-K to high school and for subject areas like ELA, Social Studies, Math, Science, STEM, Computational Thinking, and more. You can also access a FREE slide deck of sample activities here! What else can 3DBear AR do? Access an expanding 3D model library. The 3DBear AR app contains it's own library of 3D models that is constantly expanding. The library includes categories such as Sports, Dinos, Animals, Shapes, Emotions, Artifacts, Room Parts, and more. They just added a new Characters category that includes 3D letters and numbers that would be great for ELA and math activities! 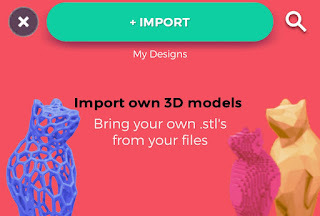 Import your own 3D models. 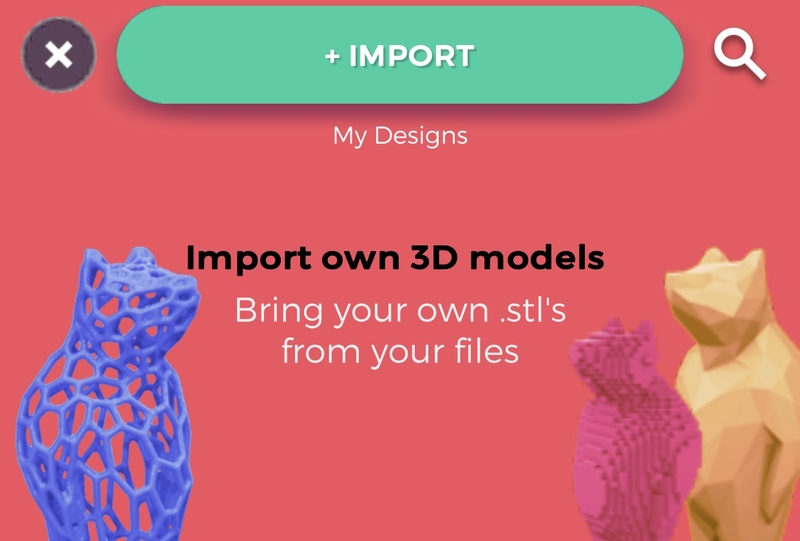 The app also allows the user to import their own 3D models as .STL files. You can do so through websites like Thingiverse.com and TinkerCad among others. An .STL file is a type of 3D model file (just like a .DOC is a type of document file). Being able to import your own 3D models expands your library exponentially! TinkerCad is my favorite 3D design tool for students and it's one of the easiest to use! Access even more 3D models with Thingiverse. 3DBear has also partnered with Thingiverse.com to allow you to login to your Thingiverse account and access more than a million 3D models from their website. 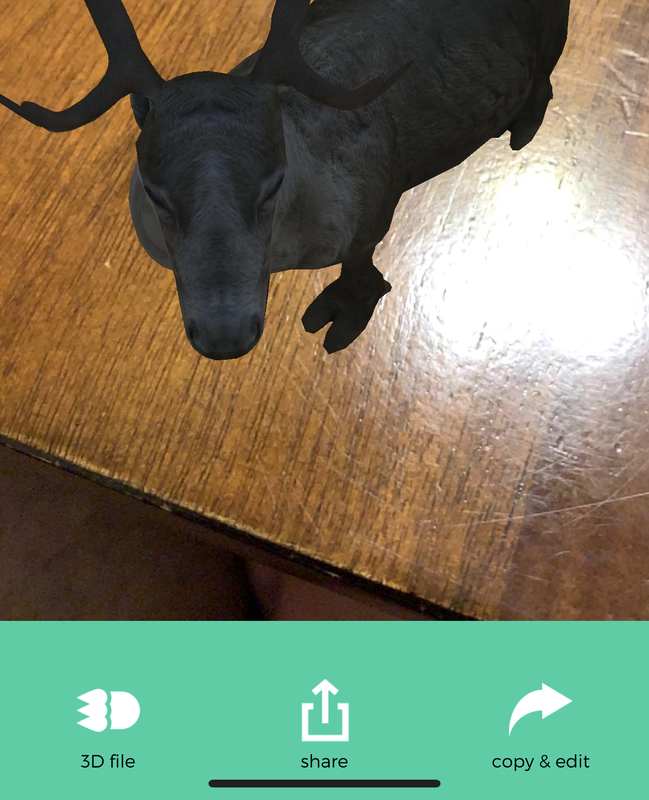 After signing in to your Thingiverse account and granting 3DBear access you can search for Thingiverse 3D models from within the 3DBear AR app and import them into your AR scene! Capture your AR scenes with pictures and video. Turn your AR scene into a 3D File. The app also allows the user to convert their AR scene into an .STL 3D file, which can be used in other 3D design tools or sent to a 3D printer so they can turn their virtual AR scene into reality! Want to try 3DBear AR in your classroom? If you're interested in trying out 3DBear AR but aren't sure yet if it's worth the cost, they've got you covered with a FREE TRIAL! 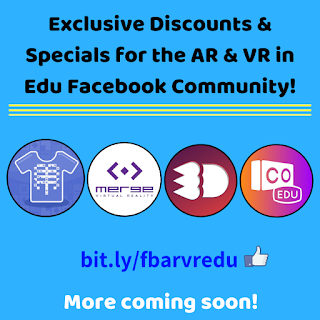 3DBear AR is also offering a special discount for members of the Virtual & Augmented Reality for Education Facebook Group! Join the group, then find the announcement at the top of the feed to learn how to get a 20% discount promo code good towards the Classroom Package or a school or district package! I'd love to hear how you plan to use 3DBear AR in your classroom! Share in the comments below! Disclaimer: I am being compensated by 3DBear for this blog post. However, I would never promoted a product on my blog or website that I wouldn't personally use in my classroom. After exploring 3DBear AR myself and speaking with the company, I find this tool to be educational, highly useful, and working for the best interests of teachers and students. In the world of technology and IT trends, the augmented reality is on everyone’s lips. And though AR may only start to penetrate our lives, but surely it is here to stay, that at least is obvious. This technology is changing the whole consumer experience, and therefore present various opportunities for businesses. Thank you for sharing this very informative post.